The REAL reason your child acts that way – and what you can do about it. With my FREE webinar, you will learn how to discover the root of your child’s behavior and ways you can address it, as well as how you can take care of yourself in the process. Hello and welcome, I’m Erin Taylor. I am an entrepreneur, wife and mom to four amazing children. And I am joyful beyond measure. I spun my wheels for many years as a young parent, feeling more stress than joy, more irritability than peace and more resentment than contentment. 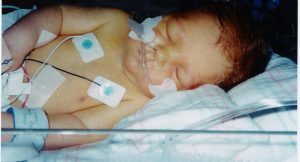 This was incredibly difficult to acknowledge, especially considering my husband and I had fertility struggles conceiving our children and our first-born daughter died in my arms of a heart defect. I understood deeply what a blessing being a parent is and what a gift children are and yet…I still was not happy, content or relaxed. 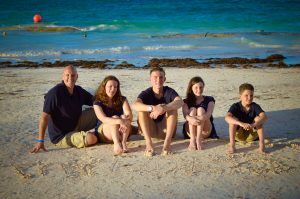 I worked part-time as a family therapist while my three living children were young. I ran a charity that my husband and I created in honor of our daughter who died. I volunteered at my children’s school parties and functions. I coached their soccer teams. I went back to school to become a parent coach. I trained for two half-marathons. I launched two new businesses. Finding balance did NOT come easy. I was once named a SuperWoman of South Jersey, and yet…I STILL was not happy, content or relaxed. I knew it wasn’t supposed to be that way, and that there had to be a better way. I began searching, and that’s when I discovered my dear friend and mentor, Dr. Shefali and my life changed. She taught me how to connect more deeply to myself and my children –how to clear out my own baggage in order to see them for exactly who they are and meet them exactly where they are. She helped me to realize it was not my kids who needed “fixing” – it was ME! Once I changed myself (the only person I can change) the “parenting stuff” fell into place much more naturally. The “parenting stuff” was what I originally thought was the problem all along, but boy was I wrong! 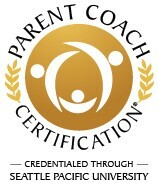 Now, my children are thriving, I am thriving, and as a PCI Certified Parent® Coach and educator I am passionate about helping other parents achieve what I have achieved – through balance, self-care and just the right level of support and guidance. You’ve read all the books, listened to all the videos, taken all the courses. But you still can’t navigate your way to a more contented, peaceful, happy life. I will help you sift through the noise and clutter, so you can get in touch with your own inner compass that is always sitting right there, patiently waiting to guide you. Children are our greatest gift and our most precious resource. They literally are our future. 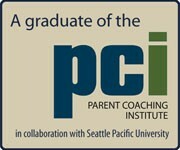 Let me help you give your children the priceless gift of being the best parent you can be and that they deserve. I will help you dial in your parenting, your career, health, relationships, time management, spirituality, etc. You will be amazed at the transformation that happens in your family, and the joy that parenting really can bring you. Are you struggling and frustrated as a parent? Wondering WHY your child acts that way? Find out now! You will learn how to discover the root of your child’s behavior and ways you can address it, as well as how you can take care of yourself in the process. © 2017 : Erin Taylor. It Takes A Village Parent Coaching, LLC. All rights reserved.